You've got to admire director Jon Favreau, After defying expectations and pretty much cementing "The Avengers" as a viable movie project with two out-of-the-park "Iron Man" efforts, he could have coasted back to the small, character-driven comedies he cut his teeth on in order to unwind. But no. Instead, he decided to mash up two of cinema's most iconic figures - the cowboy and the alien - and then, as if that weren't heavy-lifting enough, he cast two of cinema's most iconic figures - Daniel Craig and Harrison Ford - to take the lead. It's "Cowboys and Aliens" and it's James Bond and Indiana Jones. And it's opening this Friday. Although very loosely based on a 2006 comic book of the same name, "Cowboys and Aliens" pretty much takes the basic concept and runs with it. Craig plays a cowboy who wakes up in the middle of the desert with no idea who he is, how he got there, or how he got a mysterious metal gauntlet strapped around his wrist. His eventual run-in with an angry posse leader, played by Ford, is interrupted when alien spaceships swoop in from above. The rest of the movie is laser blasts against six-shooters, with Olivia Wilde ("Tron: Legacy"), Sam Rockwell ("Iron Man 2"), Paul Dano ("There Will Be Blood"), and Clancy Brown ("Starship Troopers") getting in on the action. Could be awesome, could be a head-scratcher - but the odds of it being boring are pretty much nil. 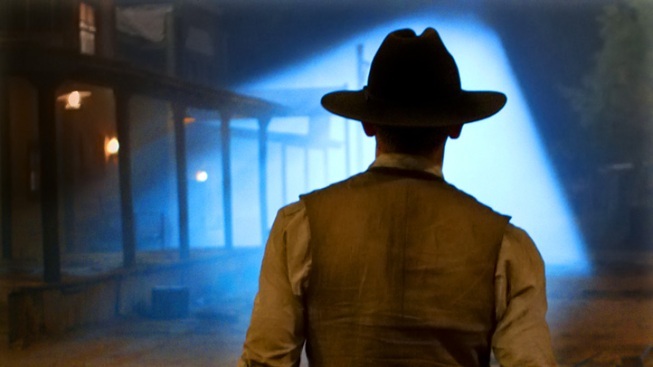 "Cowboys and Aliens" opens everywhere Friday.